While Flipkart’s decision to go app only has been severely criticized, Ola’s decision to go app-only may not raise too many eyebrows. In fact, if anything it is good thing for consumers as well as the company. Previously, Ola allowed customers to book the ride by dialing 33553355 number, however, going forward if you call, you might not be able to book a cab (depending on which city you are in). When we called the number (from Pune city), the IVR suggested we download the Ola app and also offered Rs. 100 off on the first ride that is booked through Ola. The recorded message confirmed that one cannot book Ola rides on the phone. The number was then diverted to customer call center, which now caters to all other customer support queries. 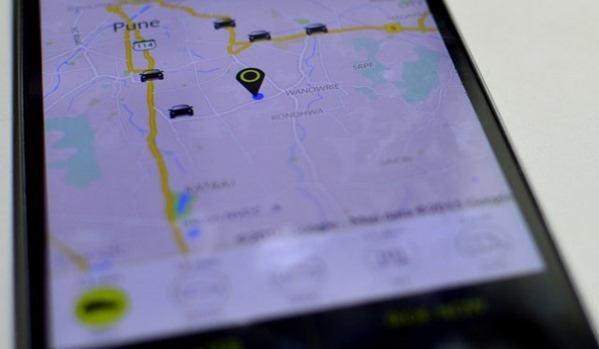 Ola claims that 99 percent of their bookings ( 95% in towns and smaller cities) come through the app, compared to just 20 percent when they launched back in 2011. Another interesting aspect about Ola app usage is that 90 percent of the Ola app users choose “Ride Now” option as opposed to “Ride Later” option. It clearly shows that Ola app is used precisely at the time when the need for cab arises. Ola has recently updated their app so that customers even with slower 2G connectivity will easily be able to book their Ola rides through the app. This shift will obviously cause problems to people who do not have a smartphone in the first place, however, those might be a very small fraction. Ola has been aggressively growing, especially in last 6 months. After TaxiForSure acquisition earlier in March this year, Ola last month integrated their hatchback cars into its App. Apart from TFS acquisition, Ola has made foray into food delivery business through Ola Café, which available in four Indian cities of Bangalore, Hyderabad, Delhi and Mumbai. Earlier, this month, Ola further diversified into on-demand grocery business with Ola Store Mobile App. While there is no official confirmation from Ola as yet, rumours are afloat that Ola is getting into Bus booking business too! And yes, they already have integrations with Ola Auto and Kaali Peeli Taxis in Mumbai. While Ola has been growing vertically as well as horizontally, they do have many issues on hand currently. Ola is banned in Delhi earlier this year and High Court had asked for fresh license application. Luckily, they have got a stay on the ban and continue to operate in the capital city. Their database was hacked recently, and there has been no news about upgrading their security (Ola Store doesn’t seek customer’s confirmation regarding sharing his location, and other details); there has been recurring protests and agonized requests to correct their billing issues. Ola go app-only, it is not big issue. Because, for Tax-Bus booking, we might not required big screen. But, if they are expanding their business and still go app-only, their new business (grocery or other) might not perform well. For flipkart or myntra, negative effects of app-only model will be seen after 2 years.